﻿ Cristiano Ronaldo: "I respect Neymar's decision to stay in Brazil"
28.11.2011» Cristiano Ronaldo: "I respect Neymar's decision to stay in Brazil"
Cristiano Ronaldo granted a short interview to "Esporte Espetacular", from the Brazilian "Globo Esporte" media network and approached a few current topics. Ronaldo talked about how he feels with his life in football, what chances Santos will have against Barcelona in FIFA's Club World Cup and also made a few comments on Neymar's decision to remain in Santos. Last week, Cristiano Ronaldo had a talk with the Brazilian media "Globo Esporte" in Madrid. The Portuguese player was asked to comment about what he feels regarding Lionel Messi success and he didn't have second thoughts to reply he doesn't envy anyone, since he's already very happy with his life. Ronaldo also recognized that Barcelona is one of the best teams in the World, but predicts a 50-50 final against Santos, if they ever meet in FIFA's Club World Cup, a competition that will be held in Japan, between the 8th and 18th of December 2011. Regarding Neymar's choice to stick in Brazil, CR7 said he respects the Brazilian player decision, but he also remarked that anyone who has the ambition to become the best, sooner or later must come to Europe. This last Wednesday, Lionel Messi received another award, this time delivered by a French Magazine called "Onze Mondial". 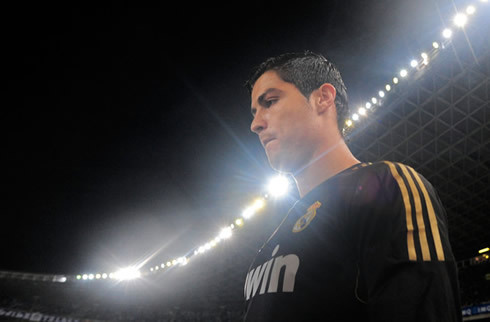 When asked to share his thoughts on that, Cristiano Ronaldo emphasized that he doesn't think about others. Ronaldo: "I don't envy anyone. I'm a very happy person and I'm lucky enough to be able to make other people happy with what I do in football. I wouldn't be able to live with others' sorrows or successes. I have to enjoy my own achievements and not think about others", fired the Portuguese player. One the questions that popped out concerned the "Messi, Messi" chants and provocations that Cristiano Ronaldo was forced to hear over the last weeks and months. The Portuguese answered in style. Ronaldo: "That's a broken record. They should start working in a different tune because it's not affecting me in any way. It's not good enough anymore", said CR7 disregarding all the fans that have been making a big effort to tease Real Madrid and Portugal star player. Currently playing his 3rd season in the Spanish League, Cristiano Ronaldo is definately a player who knows what it takes to face "La Liga" champions, Barcelona. Naturally, "Globo Esporte" wanted to hear Ronaldo thoughts on a potential upcoming clash between the Brazilian team Santos and Barcelona, in FIFA's Club World Cup 2011, that will be held in Japan, this December. Cristiano Ronaldo: "A final is always a 50% winning chances game, for both team. It's true that Barcelona has been showing that they are one of the best teams in the World, so it will certainly be a very hard task to Santos, but in football, everything is possible...", anticipated CR7, who won't be participating on this competition since it's restricited to only one European team: last season's UEFA Champions League winner (Barcelona). A dream that has crossed many football fans minds has been an attacking partnership between Cristiano Ronaldo and Neymar. However, the Brazilian player recently extended his contract with Santos until 2014, which puts him off Real Madrid radar in a near future. 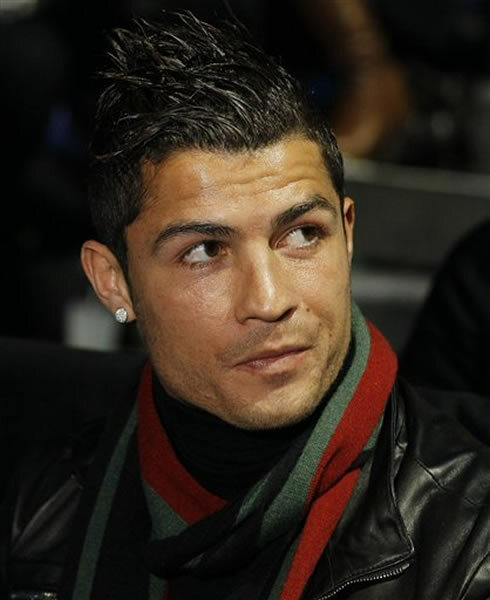 Ronaldo commented that event and noted that he respects his decision. Cristiano Ronaldo: "Every player knows what's best for him and to his family, so we have to respect Neymar's decision. But in my opinion, the best players need to prove themselves in Europe and that's where most of them are already. I hope that someday he can come to a top club in Europe and enjoy his own football over here", said the Portuguese player. Earlier this year, "Financial Times" released a story stating that Portugal could be forced to leave the European Union and "merge" with Brazil. If that was a possible scenario, what would Cristiano Ronaldo think of the idea of playing for the Brazilian National Team? 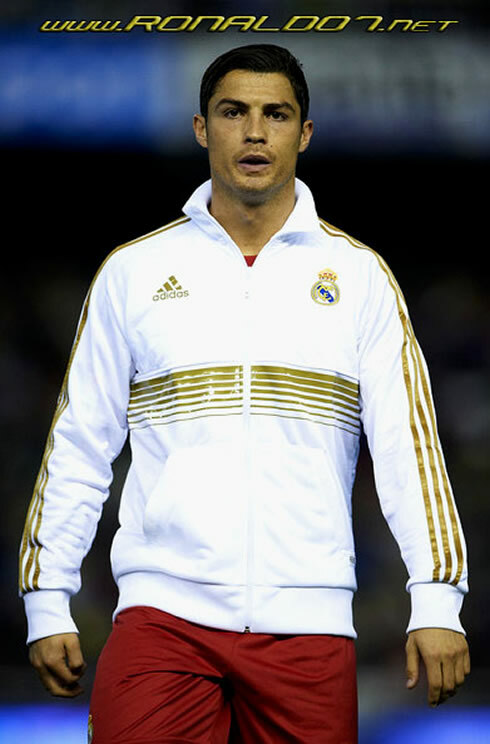 CR7 showed his good humor as well as his unquestionable patriotic feelings. Cristiano Ronaldo: "Wearing the Brazilian National Team ("Canarinha") shirt? No... But I wouldn't mind spending some time in Brazil, which is our sister country", immediatly replied the Portuguese player, before adding: "I think Brazil is one of the countries with who Portugal have the best international relationships, so why not helping each other? It would be a great occasion for all of us to be together and I'm available to travel to Brazil if that is made possible", said Ronaldo to the journalists while still laughing. Real Madrid next agended match is against Sporting Gijon, for "La Liga", in the 3rd of December. In the meanwhile, this Tuesday you can watch Chelsea vs Liverpool live and Arsenal vs Manchester City online for the Carling Cup. That same day, you can also follow Barcelona vs Rayo Vallecano for the Spanish League "La Liga". They are all available from our football live streams section.